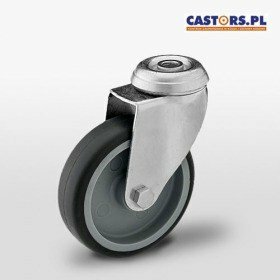 Inexpensive casters are fully valuable professional wheels if you do not plan to use them very intensively (continuous rolling). 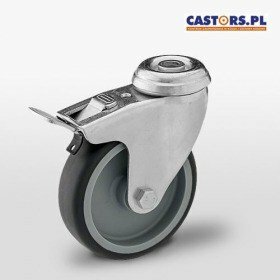 The materials used to produce the wheels provide good handling comfort on even and hardened surfaces. The polypropylene rim ensures a sufficient load capacity of up to 90 kg, and a rubber tyre reduces vibration and ensures good adhesion to the ground. Wheel sets are suitable for use in workshops, laboratories, home and office. Click on the PRODUCT CODE to proceed on to the product tab with the price and purchase option.